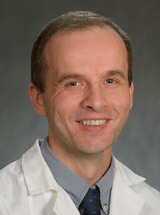 Dr. Tomov is employed by Penn Medicine. The Tomov lab is broadly focused on mucosal immunology. Specific areas of research include the following. (1) Norovirus (NV) immunity and persistence. NVs are important global pathogens that account for significant morbidity and mortality globally. To date, there is no effective vaccine against NV. Moreover, NVs can evade adaptive immunity in healthy hosts and establish chronic infections. We use the mouse NV (MNV) system to study CD8 T cell differentiation and trafficking during chronic infection with MNV. Using genetically-engineered strains of MNV and MHC-epitope tetramer reagents, we have shown that chronic infection drives tissue-resident memory CD8 T (Trm) cells to a unique differentiation state resembling inflationary T cell responses against herpesvirus. These MNV-specific Trm remain highly functional yet appear ignorant of ongoing viral replication. This "ignorance" develops 2ithin 72 hours of infection and coincides with sequestration of viral replication in an immune-privileged enteric niche. Our current efforts are focused on defining the anatomical relationship between chronically infected enteric cells and MNV-specific Trm in the mouse intestine. We are also conducting a peptide library screen to define CD4 and CD8 T cells epitopes in human peripheral blood and intestinal mucosa. (2) Inflammatory bowel diseases (IBD) including Crohn's disease (CD) and ulcerative colitis (UC) are chronic debilitating illnesses that affect millions of patients around the world. We have assembled a large biobank of live cryopreserved intestinal immune cells from IBD patients at Penn. 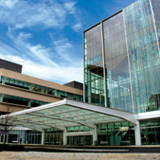 This biobank, termed the Immunology in IBD Initiative (I3), is linked to extensive clinical metadata and is a unique resource for the broad scientific community at Penn. We are using the I3 to conduct deep immune phenotyping of T cell subsets from the intestinal mucosa of IBD patients, and to correlate these subsets with disease activity, response to therapy, microbial composition, and epithelial cell metabolism. (3) Immune-checkpoint inhibitors (ICIs) are a relatively new class of drugs approved for the treatment of advanced cancers. These drugs target immunoregulatory pathways by blocking cytotoxic T-lymphocyte antigen 4 (CTLA-4), programmed cell death 1 (PD-1), or the PD-1 ligand PD-L1, thereby reinvigorating the intrinsic antitumor activity of exhausted T cells. Used as single agents or in combination, ICIs have shown remarkable efficacy in a subset of patients with metastatic cancers, however their use is limited by frequent immune-mediated adverse events. In particular, checkpoint inhibitor-induced colitis (CIIC) is a severe complication of ICI therapy and occurs in as many as 30% of patients receiving the CTLA-4 inhibitor ipilimumab. We are utilizing the I3 infrastructure and knowledge to collect blood and mucosal samples from patients with CIIC with the goal of understanding the immune mechanisms underlying the development of this serious complication. Ni Josephine, Wu Gary D, Albenberg Lindsey, Tomov Vesselin T: Gut microbiota and IBD: causation or correlation? Nature reviews. Gastroenterology & hepatology 14 (10): 573-584,2017. Tomov Vesselin T, Palko Olesya, Lau Chi Wai, Pattekar Ajinkya, Sun Yuhang, Tacheva Ralitza, Bengsch Bertram, Manne Sasikanth, Cosma Gabriela L, Eisenlohr Laurence C, Nice Timothy J, Virgin Herbert W, Wherry E John: Differentiation and Protective Capacity of Virus-Specific CD8T Cells Suggest Murine Norovirus Persistence in an Immune-Privileged Enteric Niche. Immunity 47 (4): 723-738.e5,2017. Vesselin T. Tomov, Olesya Palko, Chi Wai Lau, Yuhang Sun, Ralitza Tacheva, Bertram Bengsch, Sasikanth Manne, Gabriela L. Cosma, Laurence Eisenlohr, Timothy J. Nice, Herbert W. Virgin, and E. John Wherry: Enteric MNV persistence is associated with a unique CD8 T cell differentiation state and rapid immune evasion Keystone Symposium : 2017. Nice Timothy J, Osborne Lisa C, Tomov Vesselin T, Artis David, Wherry E John, Virgin Herbert W: Type I Interferon Receptor Deficiency in Dendritic Cells Facilitates Systemic Murine Norovirus Persistence Despite Enhanced Adaptive Immunity. PLoS pathogens 12 (6): e1005684,2016. Nice TJ, Osborne LC, Tomov VT, Artis D, Wherry EJ, Virgin HW: Type I Interferon Receptor Deficiency in Dendritic Cells Facilitates Systemic Murine Norovirus Persistence Despite Enhanced Adaptive Immunity PLos Pathogen 12 (6): e1005684,2016. Barnett Burton E, Staupe Ryan P, Odorizzi Pamela M, Palko Olesya, Tomov Vesselin T, Mahan Alison E, Gunn Bronwyn, Chen Diana, Paley Michael A, Alter Galit, Reiner Steven L, Lauer Georg M, Teijaro John R, Wherry E John: Cutting Edge: B Cell-Intrinsic T-bet Expression Is Required To Control Chronic Viral Infection. Journal of immunology (Baltimore, Md. : 1950) 197 (4): 1017-22,2016. Vesselin Tomov, Olesya Palko, and E. John Wherry: Human Norovirus-specific T Cell Responses Center for Molecular Studies in Digestive and Liver Diseases at the University of Pennsylvania 2015 Symposium : 2015. Osborne Lisa C, Monticelli Laurel A, Nice Timothy J, Sutherland Tara E, Siracusa Mark C, Hepworth Matthew R, Tomov Vesselin T, Kobuley Dmytro, Tran Sara V, Bittinger Kyle, Bailey Aubrey G, Laughlin Alice L, Boucher Jean-Luc, Wherry E John, Bushman Frederic D, Allen Judith E, Virgin Herbert W, Artis David: Virus-helminth coinfection reveals a microbiota-independent mechanism of immunomodulation. Science (New York, NY) 345 (6196): 578-82,2014. Bewtra Meenakshi, Brensinger Colleen M, Tomov Vesselin T, Hoang Tram B, Sokach Carly E, Siegel Corey A, Lewis James D: An optimized patient-reported ulcerative colitis disease activity measure derived from the Mayo score and the simple clinical colitis activity index. Inflammatory Bowel Diseases 20 (6): 1070-8,2014. Tomov Vesselin T, Osborne Lisa C, Dolfi Douglas V, Sonnenberg Gregory F, Monticelli Laurel A, Mansfield Kathleen, Virgin Herbert W, Artis David, Wherry E John: Persistent enteric murine norovirus infection is associated with functionally suboptimal virus-specific CD8 T cell responses. Journal of virology 87 (12): 7015-31,2013.